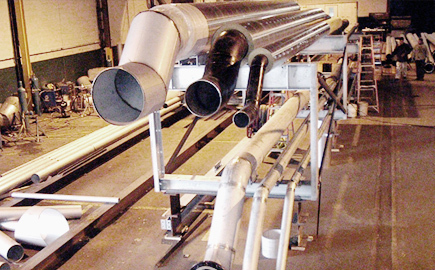 Taking a modular approach to process pipe systems has proven very popular. 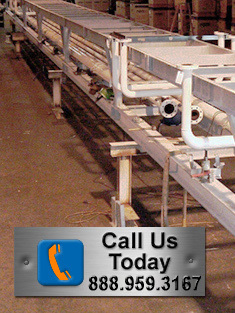 In the last two years, we have logged over 100,000 labor hours welding and assembling packaged or modular pipe systems. 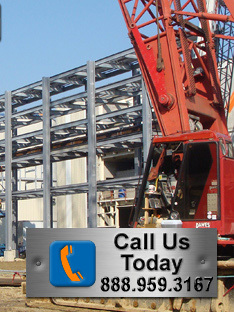 Our experience designing, building and installing systems for 28 years across many industries. Our experience enables us to see the entire project before it is built. This vision reduces risk, eliminates mistakes and maximizes the value of your construction dollars. Put the vision we bring to our solutions to work for you. 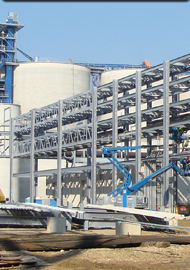 A major ethanol producer was constructing two ethanol facilities in the Midwest and was ready to install the connecting process pipelines. Shortages of certified pipe fitters and welders were escalating construction costs and increasing the risk of production delays. We eliminated all field pipe fitting and minimized field welding and insulation time through our ability to design modular pipe racks and bridges with pre-installed pipe. 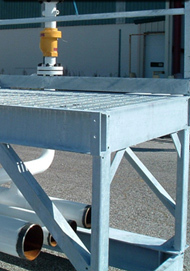 These modular pipe racks and bridges were constructed in our shop controlled environment and with zero footprint on an already overly congested jobsite. On the installation side, the customer's contractor was able to use 5 men (with cranes) to install up to 1000' of finished pipe and supporting steel every 6 hours. 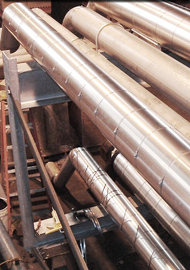 Our modular pipe systems were the key to success for this $7 million project. 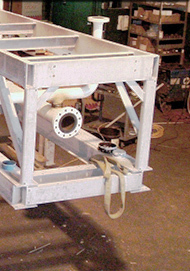 Modular designs compatible with shop production reduce field labor. Less field labor requirements reduce the risk of jobsite labor shortages and labor cost escalation. System designs based upon thoughtful comparison of constructability issues against cost constraints. For example: comparison of foundation requirements against truss size to achieve the most economical cost. 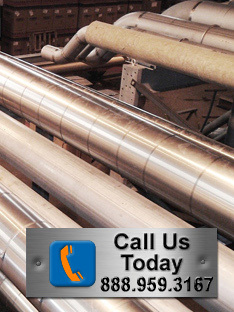 Most or all pipe fitting is completed in a controlled shop environment lowering overall cost. Faster shop weld times versus field welding means lower cost per weld. Minimizes risk that the project will not be completed on time. Minimal exposure of construction process to weather. 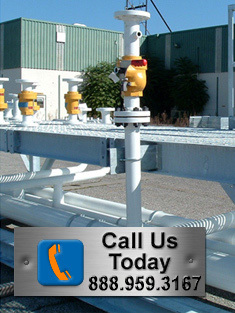 Our modular pipe systems are a perfect fit in today's market for above-ground multiple pipeline racks, trusses or bridges. We have the expertise in all the areas required to provide a turnkey solution - from design and fabrication to installation. 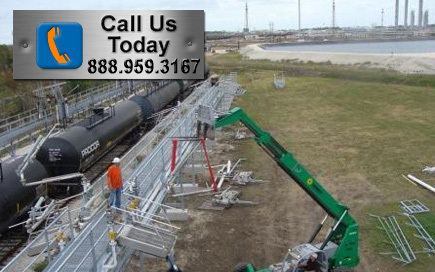 Our modular pipe racks and bridges are better built, cost less and install more quickly. The advantages of our modular systems make traditional construction methods obsolete.